The Panthers are feeding hungry children breakfast. Many children came to this program including parents. Many of these programs still exist today. 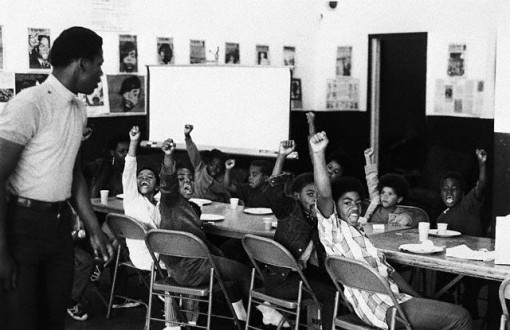 The Black Panther Party initiated at St. Augustine’s Church in Oakland, California. Many children could not afford to be fed. Thousands of poor were fed breakfast everyday. The Panthers believed that, “Children could not reach full academic potential if they have empty stomachs.” FBI believed that this was another act that the party was trying to carry out as a communist act. But the impact and magnitude of this program was so powerful that the federal government adopted a similar program for public schools across the country.